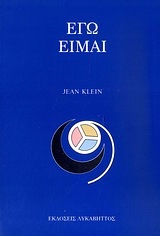 Click on a title for a short description of the book. To order any of the titles listed below please visit our Ordering page. Errikos Sevillias was born in Athens in 1901 into a Sephardic family. He learned how to work in leather as a child and opened his own leather workshop when he was 16. From 1919 until 1923 he served in the Greek army, for three years fighting in Asia Minor. After the war he reopened his workshop, married, and had a daughter. Life, as he writes, "went along well" until he experienced "an inexplicable and unexpected great adventure," meaning Auschwitz. Errikos Sevillias was killed in Athens by a motorcycle in 1974, when he was 73 years old. The manuscript of this book was found among his papers after he died. He describes the appalling events at Auschwitz with extraordinary calm, saying merely that he couldn't understand "what they wanted in doing such an unjust and evil thing." His simple statements of events give the clearest possible image of the indescribable. 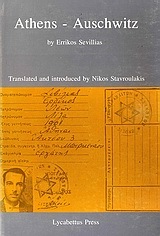 The manuscript was translated by Nikos Stavroulakis, who also has provided an extremely useful historical outline of the Jewish presence in Greece with a description of the occupation and final solution. 125 pages, black and white photographs, hardback. 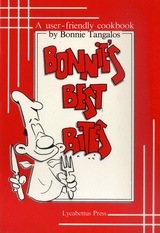 "I am most honored to have been involved in the putting together of this unusual collection of recipes, Bonnie's Best Bites. Not only is Bonnie a good friend, a superb cook, a relaxed and warm hostess, but she also cares deeply about others, which was the guiding force in making this book a reality. It has truly been a labor of love, and I do believe that this comes through in the design of the book, selection of recipes, and individual notes. It has been heard said throughout Athens, and I'm certain also in both Lagos, Nigeria and in Buffalo, N.Y., that when Bonnie cooks there will be surprises, delights, and great, groaning satisfaction. It has been heard more than once in my own house, so I can guarantee that this book will become a staple on your shelf, required reading and a source of fun and pleasure of all kinds." Christians in the Arab East is a comprehensive study of the varying roles that Arabic speaking Christians have played in Islamic society since the Muslim conquests, and in the states of the Arab East since independence. Except for Lebanon where they are an official majority and where they continue to be dominant many areas of society and government, these Christian communities are a minority conspicuous for their affluence, education, and Western orientation. Detailed demographic statistics, many made available here for the first time in English, the power structure and political involvement of the various churches, Christians participation in the Palestinian nationalist movement and Lebanon in the immediate aftermath of the 1975-76 civil disturbances are examined in the light the growing importance of the Middle East in world affairs. 321 pages, with maps, population tables, footnotes, bibliography, and index, paperback. The Cookbook of the Jews of Greece is more than a cookbook for, in addition to the 287 recipes, some unique and others unusual variations on familiar Persian, Arab, Turkish, and Greek dishes, it is lavishly illustrated by the author with over 60 drawings of Jewish life throughout Greece and documented with descriptions of local customs and traditions that were the settings for a rich and varied cuisine. Greek Jewish cooking is the product of Jewish life in four great empires. The Jews have lived in Greece for over 2,000 years as one succeeded another: the Alexandrine, the Roman, the Byzantine, and the Ottoman. From each they took something and made it their own. Beginning in the 15th century, Jewish exiles from the expulsions of Spain and Portugal and, later, from the violence of eastern Europe, came to Ottoman ruled Greece and created one of the greatest Jewish cities in history. Salonika reigned as "Queen of Israel" for over four hundred years, until it fell victim to the Nazi Holocaust. What remains today in Greece are the memories of survivors from the last generation of Salonika's reign and of 2,000 years of Greek Jewish life. 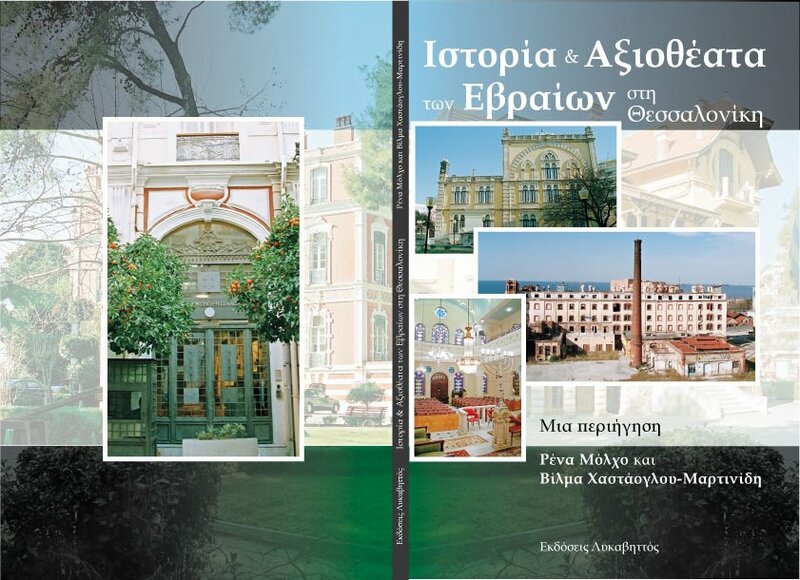 The recipes for the Cookbook of the Jews of Greece were painstakingly gathered from these survivors in retirement homes and family homes throughout Greece by Nicholas Stavroulakis, formerly director of the Jewish Museum of Greece. He has brought his own varied background to bear on the cookbook's creation. His family is of mixed Cretan, Jewish, and Turkish origins. He is an artist and a cook. He has exhibited widely in Europe and the United States and has illustrated numerous books. After being educated in Great Britain and the United States, he taught at Tel Aviv University before returning to Greece to become the director of the Jewish museum in Athens. Delphi, by Alan Walker, is a clear guide to ancient Delphi, first setting the scene and describing the roles played by Apollo and the oracle, and then walking the visitor through the site. 146 pages, with maps, plans, and many black and white photographs, paperback. 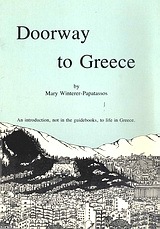 Doorway to Greece, by Mary Winterer-Papatassos, is a gentle introduction for foreigners to living in Greece, in three parts. Insights into Greek Ways contrasts traditional and contemporary practices, describes philotimo, the ingroup and the outgroup, shopping, and education. The Church Today describes the major role the Greek Church plays in modern Greek life. Greek History in Brief provides a brief, convenient description, from the Stone Age to PASOK. Ο αγώνας να βελτιωθούμε ή να προοδεύσουμε μας συγχέει ακόμη περισσότερο. Οι εξωτερικές εμφανίσεις μπορεί να μας οδηγήσουν να πιστεύουμε ότι έχουμε φθάσει σε μια κατάσταση σταθερότητας, ότι γίνονται αλλαγές, ότι προοδεύουμε και ότι βρισκόμαστε στο κατώφλι της χάρης. Στην πραγματικότητα, ωστόσο, τίποτε δεν έχει αλλάξει. Έχουμε απλώς αλλάξει τη θέση των επίπλων. Όλη αυτή η δραστηριότητα γίνεται στο νου, είναι ένα αποκύημα της φαντασίας. Το πράγμα είναι πολύ πιο απλό. Γιατί το κάνεις τόσο περίπλοκο; Αυτό που ουσιαστικά είσαι, είναι πάντα εδώ, είναι πάντα πλήρες. Δε χρειάζεται εξάγνιση. Ποτέ δεν αλλάζει. Για τον Εαυτό δεν υπάρχει σκοτάδι. Δεν μπορείς ν ανακαλύψεις την αλήθεια ή να γίνεις η αλήθεια γιατί είσαι αυτή. Δε χρειάζεται να κάνεις κάτι για να τη φέρεις πιο κοντά, δε χρειάζεται να μάθεις τίποτε. Δες μόνο ότι προσπαθείς συνέχεια ν' αποφύγεις αυτό που είσαι. Σταμάτα να χάνεις χρόνο και ενέργεια προβάλλοντας συνεχώς κάτι. Ζήσε αυτό το σταμάτημα, όχι νωθρά και παθητικά· ζήσε την εγρήγορση, που τη βρίσκεις όταν πάψεις ν αναμένεις και να προσδοκάς. Αυτή, επίσης, είναι η sadhana σου. Δεν υπάρχουν περιθώρια βελτίωσης της πραγματικότητας. Είναι ητελειότητα αυτή καθαυτήν. Πώς θα μπορούσες να πας πιο κοντά της; Δεν υπάρχουν μέσα, με τα οποία μπορείς να την προσεγγίσεις. 1. Η απόδοση της διδασκαλίας του Μαχαρατζ σ' αυτό το βιβλίο δεν είναι αναπαραγωγή από μαγνητοφωνημένα πρακτικά των διαλόγων στις συναντήσεις. 2. Είναι, ουσιαστικά, θέματα που συζητήθηκαν κατά τις συναντήσεις είτε όταν ο Mullarpattan είχε κάνει τη μετάφραση κι εγώ ήμουν παρών, ή όταν εγώ ο ίδιος είχα κάνει τη μετάφραση. 3. Το θέμα στο κάθε κεφάλαιο έχει αντιμετωπισθεί σε μεγαλύτερο βάθος απ' ό,τι θα γινόταν στην περίπτωση, που θα δινόταν απλώς μια κυριολεκτική Αγγλική μετάφραση των λέξεων του Μαχαράτζ στη Μαραθή σε οποιαδήποτε συνάντηση. Ενώ ένα σημαντικό τμήμα ενός κεφαλαίου είναι αυτό που συζητήθηκε σε μια συγκεκριμένη συνάντηση, για να γίνουν τα θέματα σαφέστερα και πληρέστερα, έπρεπε να αντληθεί επί πλέον υλικό από άλλες συναντήσεις όπου είχε συζητηθεί το ίδιο θέμα. Χωρίς αυτή την ελευθερία το θέμα θα στερούνταν το βάθος που έχει, όπως ελπίζουμε, τώρα. 4. Καμιά μετάφραση σε μια άλλη γλώσσα δεν μπορεί ίσως να μεταφέρει είτε το ακριβές νόημα ή την ισχυρή εντύπωση που προκαλούσαν οι λέξεις του Μαχαράτζ στη Μαραθή εκείνη την ώρα. Η μετάφραση των λέξεων του Μαχαράτζ σε τούτο το βιβλίο δεν είναι αμιγώς κυριολεκτική, αλλά αναγκαστικά περιέχει μια ερμηνεία αυτού που φαινόταν ξεκάθαρα να υπαινίσσεται η ευφάνταστη, ρωμαλέα, μερικές φορές λακωνική, αλλ' αρρενωπή χρήση των λέξεων της Μαραθή από τον Μαχαράτζ. The story is fiction but the setting real. The author, Alexis Ladas, was a 24 year old captain on a Greek Raiding Schooner in 1944. The little known Greek Schooner Raiding Flotilla in World War II; its bases in Alexandria, Egypt and Deremen, Turkey; its only slightly disguised commander; and the feelings of the book’s hero in war were very real indeed. The author wrote what he lived. On one level, this book is a gripping romance and a suspense-filled tale of action. It also is a fount of information about the Aegean, sailing in the Aegean, and Greek sailing lore. In Sfakiá is an affectionate, personal account of the historic and remote Cretan region of Sfakiá and its main village, Chóra Sfakíon, as encountered by the author and his wife starting in the late 1970s. The landscape is rugged, as are the Sfakian people, who are renowned for their heroism, fierceness, dignity and independence -- and even today they remain "hospitable to the point of insanity". We follow the couple as they become increasingly engaged with the local people, language, customs, landscape, history and legends, tragedies and triumphs of the region; we learn of their personal adventures and observe their gradually increasing understanding of Village life. Thessaloniki has long been considered Greece's foremost multi-cultural city because for many centuries its history has been marked by the peaceful co-existence of Christians, Muslims, and Jews. Between 1492, in fact, and 1912 the Jewish community was the largest of all ethnic communities living here. This thriving community set the tone of Ottoman Thessaloniki, making it known as the most famous Jewish city in the world, widely referred to as the Jerusalem of the Balkans. Visitors now coming for the first time to Thessaloniki encounter a basically Byzantine city because historical events, such as the devastating fire that destroyed most of the Jewish monuments in 1917 and the annihilation of the Jewish community during the German occupation, erased the city's Jewish character. Reconstruction after the end of World War II, which reached its peak in the 1960s, made the few remaining traces of the two thousand year Jewish presence in the Macedonian capital even less evident. This informative, small book provides a clear image of the community's long, vibrant history; has short biographies of a few of the community's leading members; and describes (with pictures) the major remaining buildings members of the community constructed. It enables foreign and local visitors to discover, even in part, the surviving traces of the Jewish and multi-cultural nature of Thessaloniki. Paperback, 90 pages, 3 maps, 35 color photographs, bibliography, index. Also available in German and Greek. Thessaloniki galt lange als Griechenlands führende multikulturelle Stadt, da ihre Geschichte über Jahrhunderte vom friedlichen Zusammenleben von Christen, Muslimen und Juden geprägt war. Zwischen 1492 und 1912 war die Jüdische Gemeinde sogar die größte aller Volksgruppen hier. Diese blühende Gemeinde prägte das Gesicht des osmanischen Thessalonikis und machte sie zu einer der berühmtesten jüdischen Städte der Welt, oftmals als Jerusalem des Balkans bezeichnet. Wenn heute Besucher zum ersten Mal nach Thessaloniki kommen, stoßen sie auf eine hauptsächlich byzantinische Stadt. Histori- sche Ereignisse wie das verheerende Feuer, das 1917 die meisten jüdischen Bauwerke in der Altstadt zerstörte und die Ausradierung der jüdischen Gemeinde während der Deutschen Besatzung (1941-44) tilgten den jüdischen Charakter der Stadt. Der Wiederaufbau nach dem Ende des Zweiten Weltkrieges, der seinen Höhepunkt in den 1960er Jahren erreicht hatte, ließ auch die wenigen verbliebenen Spuren der 2000-jährigen jüdischen Präsenz in der makedonischen Hauptstadt größtenteils verschwinden. 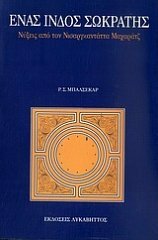 Ein großer Schritt, dem Abhilfe zu schaffen, wurde mit einem reich bebilderten Buch des Consejo Superior de Investigaciones Científicas getan, das über die Geschichte der wichtigsten sephardischen Gemeinden im Osmanischen Reich informierte. Als ich gebeten wurde, das Kapitel über die Jüdische Gemeinde Thessalonikis zu schreiben, suchte ich mir dafür die Hilfe meiner Freundin und Kollegin Vilma Hastaoglou-Martinidis. Das dabei gesammelte Material präsentieren wir hier in erweiterter Form als separate Publikation. Wir sind der Meinung, dass der historische Überblick, die 35 Illustrationen, die Beschreibungen der Örtlichkeiten und die Stadtpläne eine Lücke in der Bibliografie füllen und es fremden sowie einheimischen Besucher ermöglichen, die verbliebenen Spuren des jüdischen und multikulturellen Thessalonikis zumindest in Teilen zu entdecken. Die vorliegende deutsche Ausgabe wurde dank der Initiative des Generalkonsuls der Bundesrepublik Deutschland in Thessaloniki, Wolfgang Hoelscher-Obermaier, und der Unterstützung durch das Auswärtige Amt in Berlin möglich. Die Übersetzung von Philipp Haugwitz aus dem Englischen macht das Buch vielen weiteren jüdischen und nicht-jüdischen Lesern zugänglich. 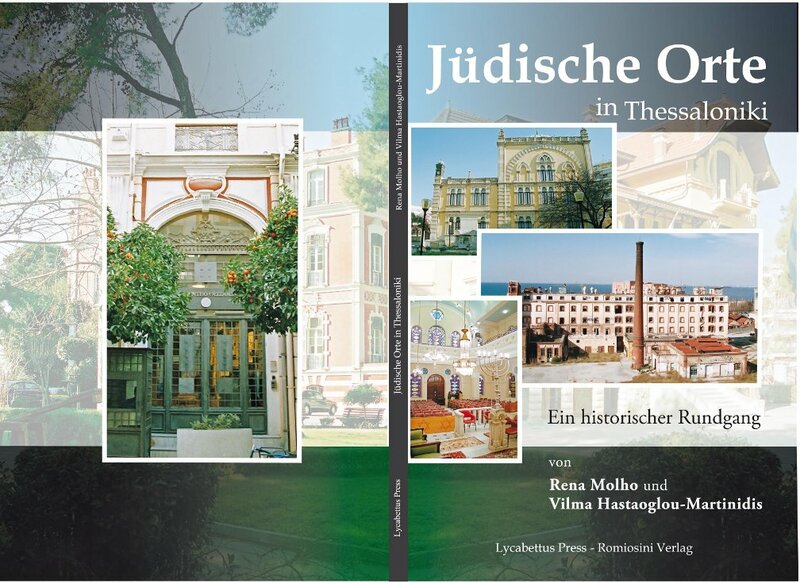 Meiner Erfahrung nach erleben die meisten Besucher Thessalonikis die Geschichte der Jüdischen Gemeinde durch Besuche des Jüdischen Museums und der jüdischen Orte der Stadt. Ich bin der Überzeugung, dass Gäste aus dem deutschsprachigen Raum überrascht sein werden, zu erfahren, wie eng die 2000-jährige Geschichte Thessalonikis mit der jüdischen Vergangenheit der Stadt verbunden ist. Kos, by Chris and Christa Mee is an 87 page guide with plans and black and white photographs of the Dodecanese island of Kos. Hippocrates, the "father of medicine" was born on Kos, and the island was famous in antiquity for its Asklepeion, sanctuary of Asklepios, the god of medicine. The island participated fully in Greek life in the classical, Hellenisitic, Roman, early Christian, and Byzantine periods. Later it was occupied by the Knights of St. John, the Ottomans, and the Italians, becoming a part of Greece only in 1947. All these periods have left their marks on the island, which the authors clearly explain. 87 pages, with maps, plans, black and white photographs, paperback. Nauplion had a long and fascinating history long before the first head of the independent modern Greek state, Ioannis Kapodistrias, was assassinated here in 1831 and the young Bavarian prince Otho, appointed King of Greece, arrived in 1833. Finds dating to the Mycenaean period have been excavated near the city and during the classical period Nauplion served as a port for the more powerful city state of Argos. Macedonian, Roman, and then Byzantine rule were followed by the Crusaders, then the Venetians and Ottomans. The city is sprinkled with buildings, churches, statues, and fountains from these periods and the two large fortresses of Akronauplia and Palamidi testify to the city's strategic importance. All this is carefully described by Timothy Gregory's 81 page guide, Nauplion, with plans and black and white photographs, paperback. 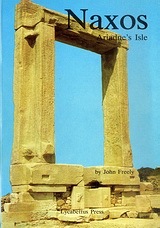 There has been much development on Naxos since this book was written, but the simpler conditions of 30 years ago this book describes show clearly why visitors were and are drawn to the island. 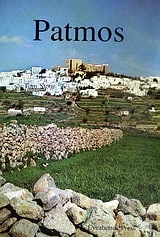 Tom Stone's Patmos describes all the island's highpoints, from the medieval Monastery of St. John, justly famous for its library and beautiful view, and the medieval Monastery of the Apocalypse, containing the grotto where St. John received his revelations, to the multi-colored stones of Lambi in the north and the fine sand of Psiliamo in the south, extends his description to the small nearby islands of Lipsoi and Arkoi, and even tells the reader how to go on to Ephesus, in Turkey. 118 pages, maps, plans, color photographs, paperback. 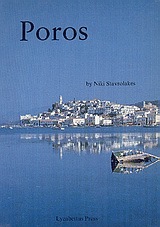 This fine little guide to Poros by the archeologist Niki Stavrolakes, whose family house is in Galata across from the island, is comprehensive, covering the mythology, history, and sites for both the island and nearby Galatas. 46 pages, maps, plans, and tables, with black and white photographs, paperback. Otto F. A. Meinardus's St. Paul in Greece has been the fundamental source about St. Paul's travels in Greece for modern visitors to the country for many years, providing clear biblical and cultural insight into all the sites St. Paul visited in Greece, from Philippi to Fair Havens. It also discusses St. Paul's correspondence with the new Christian communities he started and the traditions that continue in these communities today. This edition, with new photographs and maps, has been brought up to date to take account of the changes at some of the sites since the original text was written. 131 pages, with maps, plans, drawings, and color photographs, paperback. In Ioannina, in northwest Greece, lives a small community of Jews virtually unknown in other parts of the world. They are Romaniotes (Greek speaking Jews), descendants of Byzantine Jews who have been living in Ioannina since the 8th century. From medieval times until the Holocaust, the Jewish community of Ioannina was one of the leading Jewish centers in the Levant. The Jews of Ioannina, by Rae Dalven, is a unique publication, with the three basic sections on history, religious life, and social life bringing to light the world of a fascinating community. 227 pages, with contemporary black and white photographs, an appendix on three traditional Judeo-Greek hymns, bibliography, and index, hardback. Most visitors to Greece do not leave the sea and the lowland plains, viewing the mountains as distant background. But most of the country is mountainous and half the population have connections with mountain villages. This beautifully written book presents this other world, giving a fascinating view of modern Greece seen through the mountain experience. The Unwritten Places is an account of the life and times of the people of the Pindos mountains in northern Greece, as the author experienced them during ten years of wandering the ancient mule paths and summer pastures. It tells in particular of his friendship with a family of Vlach shepherds from the mountains close to Albania. The title is a translation of Ta Agrafa (Τα Άγραφα), the name of what is still the most inaccessible and least developed part of the country. Brought up in England and educated in the classics at Oxford University, Tim Salmon first visited Greece as a schoolboy and has been involved in the country ever since, including marriage to a Greek. In the 1970s, while teaching in Athens, he began to explore the mountainous regions of central and northern Greece. He is the author of The mountains of Greece: A Walker's Guide (Cicerone Press, revised edition 2006) and, with Kate Baillie, of The Rough Guide to France and The Rough Guide to Paris. He is the father of one son and one daughter. 319 pages, with maps, glossary, and index, paperback. Tom Stone's Greek Food and Drink Book is a how-to guide to eating in Greece. If, when in Greece, you venture into most of the country beyond "international cuisine," this gently opinionated little book will explain the kinds of food, wonderfully different from anything non-Mediterranean, you will encounter. 148 pages, with pronunciation guides throughout the text, appendices on useful phrases, weights and measures, and the Greek festive calendar, paperback. Willard Manus's memoir of the thirty-five years he and his Scottish wife and two children spent in the Greek island village of Lindos is one of the very few very good books written about Greece. Its portraits of the villagers and of the foreigners living side by side with them -- people such as the humorist S. J. Perelman, the Pink Floyd band, the novelists Richard Hughes and Martha Gellhorn, among others -- are vivid and memorable. Its description of how Lindos went from island backwater to artists' colony to Aegean mass tourist beauty spot is masterful and insightful, as is its overview of the political, social, and cultural changes in Greece. Best of all is the book's essential charm and humor.